THE LITTLE CHICKEN BOOK has just been published, a must for all guardians of our feathered egg laying friends! 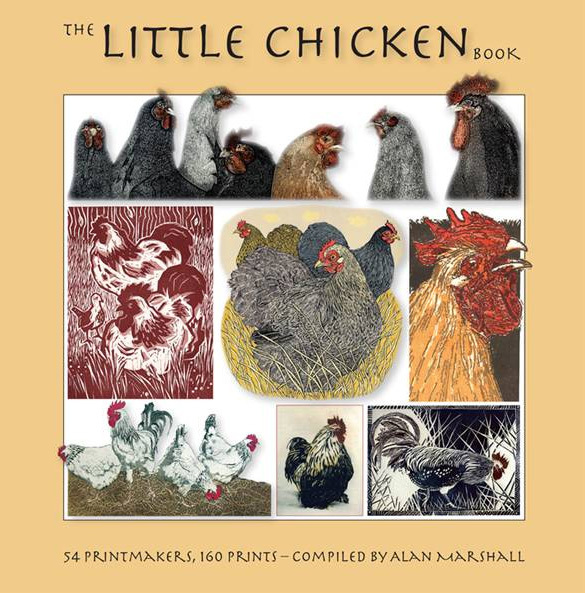 The delightful hardback publication is packed with over 160 images of Chickens, Bantams, Geese and the odd Guinea Fowl. The work has been gathered from 54 British printmakers who turn their lino-cutting, wood engraving, screen printing, etching and collography skills into beautiful and collectable editions. Amongst the contributing artists are Andrew Haslen, HJ Jackson, Kerry Buck, Richard Bawden, Vanessa Lubach, Celia Hart, Linda Richardson & Jeremy James. A Charming Gift – The full colour book measures 6 x 6 inches (155 x 155 mm) – 160 Pages & Hard-backed.